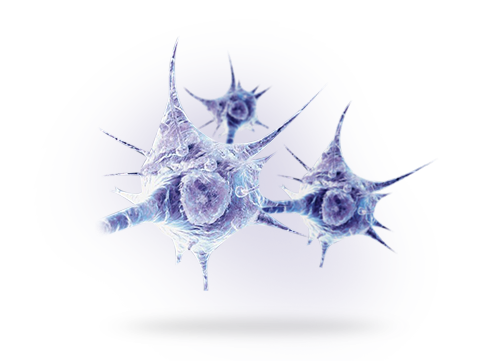 The research aims at studying neurodegenerative mechanisms in various neuropsychiatric diseases such as Parkinson's and Huntington's disease as well as other movement disorders, Alzheimer's disease, Pick’s disease and other dementias, multiple sclerosis, psychotic and mood disorders as well as other neuropsychiatric disorders. The project is based on collaboration between research groups from the clinical departments of Neurology and Psychiatry and associated research teams from the 1stFaculty of Medicine, Charles University. Movement disorders and dementia. Clinical, genetic, neuropsychological, electrophysiological and functional imaging studies in neurodegenerative diseases; studies of motori, oculomotor, cognitive, and autonomous disturbances, disorders of gait and stability. Neurodegenerative mechanisms in demyelinating disease. Diagnostic markers and relationship between clinical, neuropsychological, genetic, immunological and imaging parameters in demyelinating diseases. The role of neurodegeneration in demyelinating diseases and prognostic markers of treatment response. Sleep disorders. Disorders of sleep in neurodegenerative diseases and during physiological ageing. Genetics and pathophysiology of restless legs syndrome.REM sleep behavioral disorder, prospective studies. Biological markers of psychopathology. Relationship between the clinical manifestation of psychopathology and its functional and structural underpinnings at the cellular and molecular level. Biological changes in the brain, autonomic nervous system, biological rhythms, endocrine and immune system, which accompany psychopathological processes. Biopsychosocial studies. Interaction of biopsychosocial factors in the pathogenesis of neuropsychiatric diseases with a special focus on the role of traumatic stress. Metabolic, endocrine, behavioral, cognitive, and physical changes in eating disorders, attention deficit hyperactivity disorder, personality disorders and addiction.